Add some rustic charm to your home decor with this large sekelton style wall clock. 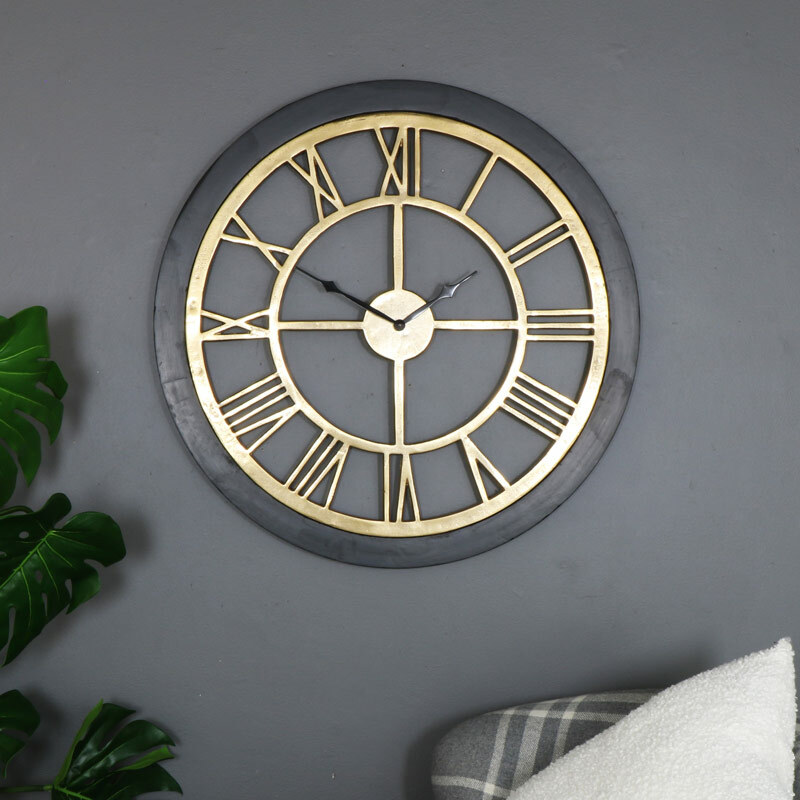 Beautifully finished with a rustic brass clock surrounded by a contrasting black wooden frame. Perfect for hanging in the living room or hallway. Finished in a rustic brass that gives the appearance of age. 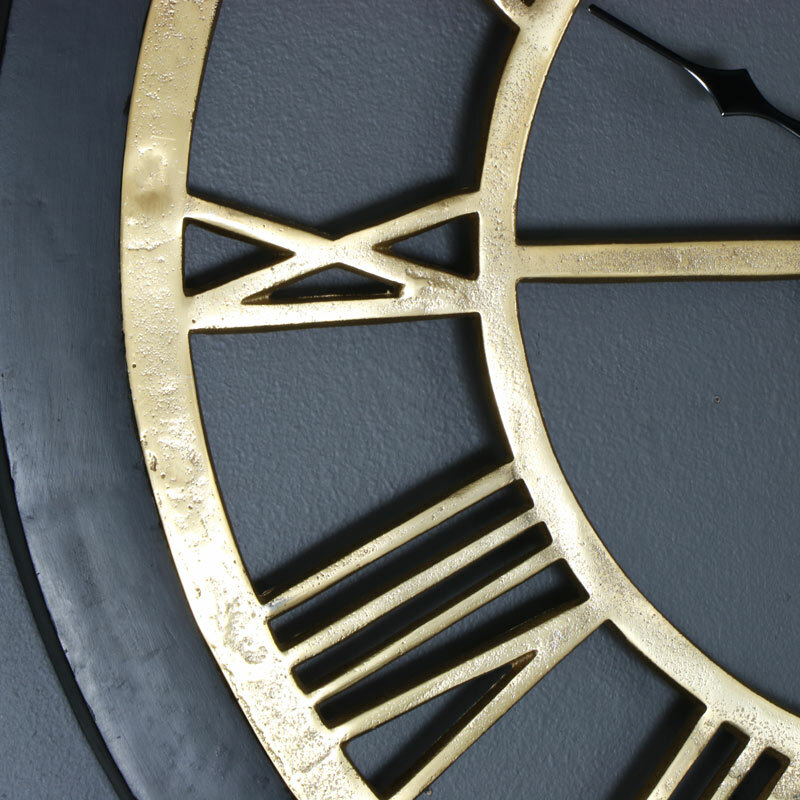 The large Roman numerals and black painted hour and minute hands make the time easy to read. This clock will make a great statement displayed proudly on your wall. With an extensive range of wall clocks to choose from, we have a superior choice in skeleton style design clocks that will help to add that finishing feature to your interior decoration. Add some rustic charm to your home decor with this large sekelton style wall clock. 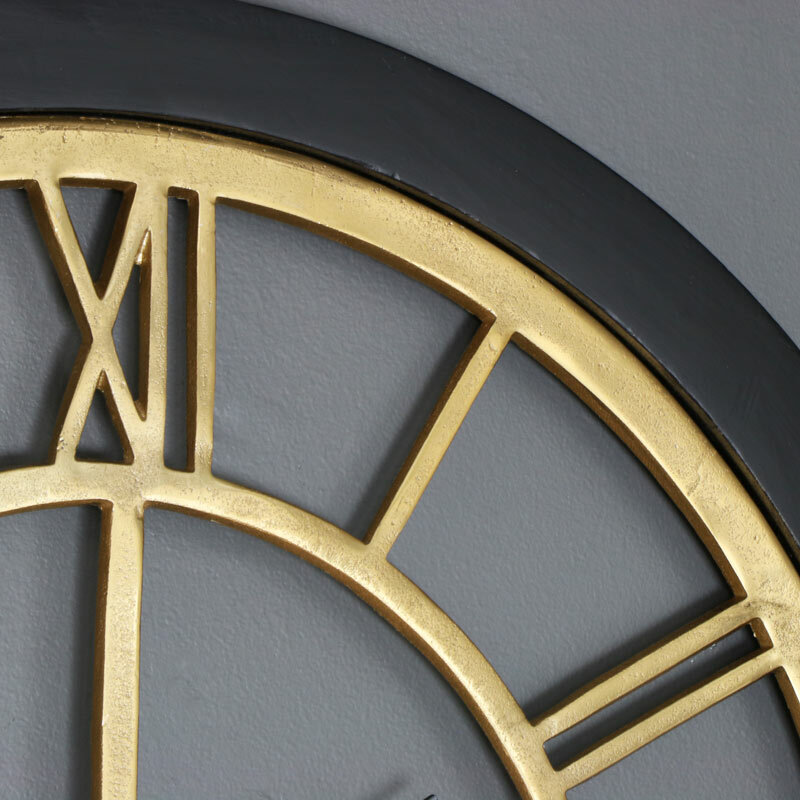 Beautifully finished with a rustic brass clock surrounded by a contrasting black wooden frame. Perfect for hanging in the living room or hallway. Finished in a rustic brass that gives the appearance of age. 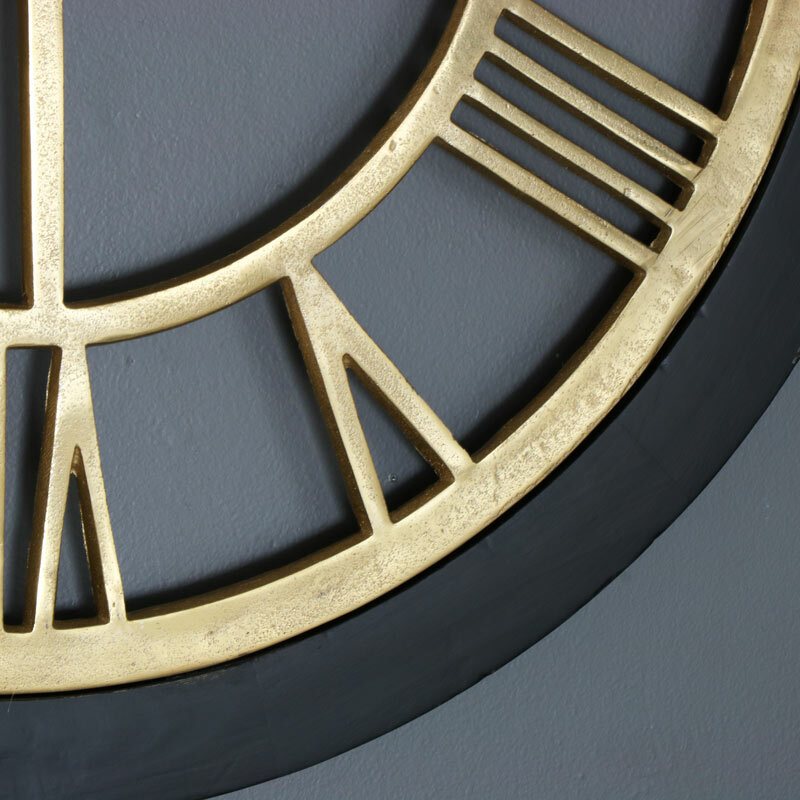 The large Roman numerals and black painted hour and minute hands make the time easy to read. This clock will make a great statement displayed proudly on your wall. With an extensive range of wall clocks to choose from, we have a superior choice in skeleton style design clocks that will help to add that finishing feature to your interior decoration.